OTTAWA -- The Senate has voted to pass Bill C-45, the government’s legislation to legalize cannabis, meaning that recreational marijuana will soon be legal across Canada. Some parliamentarians are calling it an "historic" moment in this country, while others are warning of the work left to be done: raising public awareness about the implications of this incoming major social policy change. 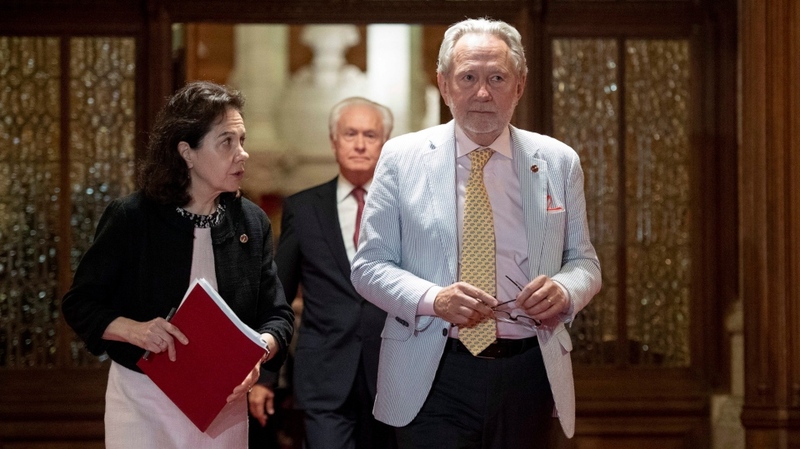 After more than a year of intensive study in both the House and Senate, the bill cleared the final legislative hurdle Tuesday evening, passing by a vote of 52 to 29 with two abstentions from the Independent Senators from Quebec: Sen. Marie-Françoise Mégie and Sen. Rosa Galvez. The vote was on a motion from Sen. Peter Harder, the Government Representative in the Senate, to accept the government’s position on the Senate's amendments and pass the bill as is. It was all that was left in a short round of legislative ping-pong spurred by the upper chamber amending the government legislation. The House of Commons will be notified of the Senate's decision. After that, all that is left will be Royal Assent to officially pass the bill and for the government to determine when the new law will come into force. 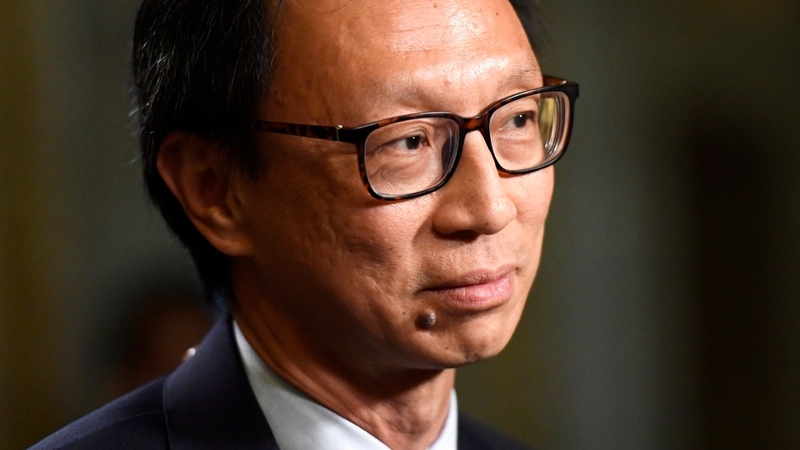 Leader of the Independent Senators Group Sen. Yuen Pau Woo told reporters after the vote that the mammoth study of Bill C-45 was “a bit of a stress test” for the increasingly Independent Senate. He said now, the work will have to begin on implementing the legislation, and making sure Canadians understand what this new regime means. "We are now moving where in the legalized industry we have the chance to push out the illicit elements, we have the chance to do research on cannabis, we have the chance to properly educate our young people on the harms of cannabis use, and all of this should be the focus of the whole country now," Sen. Woo said. The legislation -- an electoral promise of Prime Minister Justin Trudeau and the Liberal Party --allows adults in Canada to legally possess and use small amounts of recreational cannabis. It sets out parameters around the production, possession, safety standards, distribution, and sale of the drug. It also creates new Criminal Code offences for selling marijuana to minors. 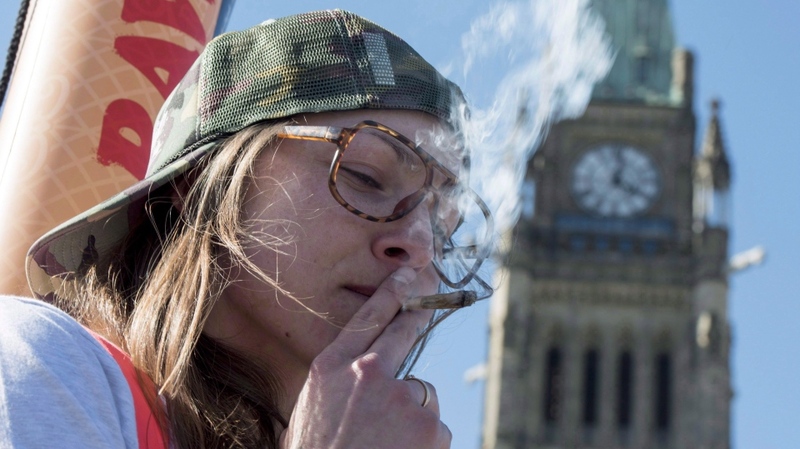 The proposed federal law spells out that it will be illegal for anyone younger than 18 to buy pot, but allows for provinces and territories to set a higher minimum age. In a tweet, Justice Minister Jody Wilson-Raybould, who was the bill's sponsor, and first introduced the legislation in April 2017, said it was "an historic milestone for progressive policy in Canada." The federal government is expected to formally respond to the bill's passage Wednesday morning in the House of Commons foyer. Last week, the government announced it would be accepting most but not all of the Senate's more than 40 proposed amendments to Bill C-45. Among the 13 amendments that the federal Liberals rejected were the proposal to allow the provinces and territories to ban home-grown marijuana, and a proposed change to prohibit pot producers from distributing branded merchandise. 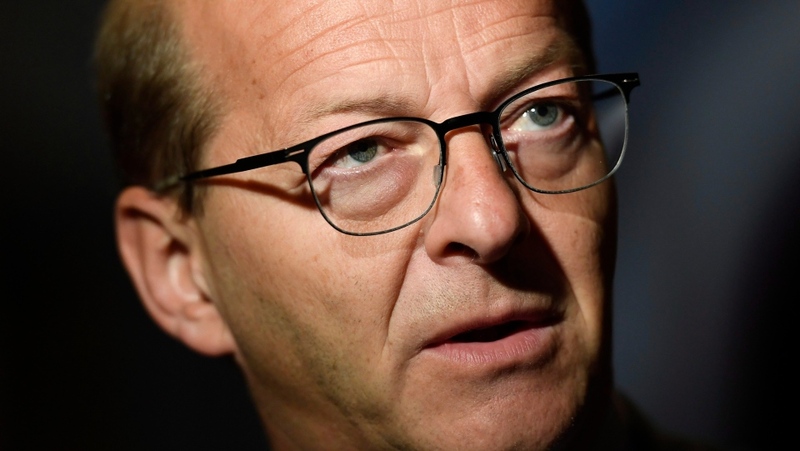 Earlier in the evening, an attempt by Conservative Sen. Claude Carignan to insist on an amendment to let provinces ban marijuana home cultivation, failed. Reacting to his effort to push back on the government’s rejection of the change, Carignan said his attempt was to give the provinces a right he believes they should have, in an effort to circumvent what is now likely: the matter winding up in court. Senators spent much of Tuesday offering their final thoughts on the legislation, with some expressing disappointment and frustration over MPs not accepting the Senate's changes, and raising remaining concerns with the legislation as it stands. Others argued that the upper chamber had done its due diligence and that it was time to concede to the will of the elected House of Commons, and pass the legislation. In calling the vote, Senate Speaker George Furey had a slip of the tongue and called “all those in flavour” instead of “all those in favour,” sending snickers through the chamber. "It's getting late," Sen. Furey said. Speaking with reporters following the vote, Sen. Harder said he was finally pausing after the manoeuvrings and the procedural wrangling to acknowledge that after a very lengthy debate, Canada is on the cusp of legalization after nearly a century of prohibition. "It is a step in the right direction and what we now need to do is to insure as we move forward in implementation, that everybody plays their role, that everybody understands the obligations that they have and uses the opportunity of the next number of weeks to inform themselves of what a legal cannabis market means for them, their family, their communities, and the opportunities and risks that it poses," said Sen. Harder. So is marijuana legal? No. The bill still needs to receive Royal Assent, which is expected as soon as tomorrow. That is the final step -- essentially the Crown approving the bill. It's overseen by Canada's representative, the Governor General. Once it passes, the government is expected to declare the date that legalization will come into force and be applicable. On CTV's Question Period, parliamentary secretary and the federal government’s point-person on pot, Bill Blair said he expects the date to be some time this September. That window of time between when the bill passes and when it becomes federal law is to allow for the provinces, territories, municipalities, police forces, and other stakeholders to make sure their piece of the pot pie is operating in accordance with the new rules. Blair said the date they decide on will be informed by discussions with their provincial and territorial counterparts, which have been given the ability to set regulations in their jurisdictions as to how a legalized marijuana regime will operate. The federally mandated public possession limit of 30 grams of dried cannabis has been maintained across the country, with most jurisdictions opting to keep their legal marijuana-smoking ages in line with those for drinking alcohol. Bill C-45 allows individuals to grow up to four marijuana plants per residence, though some provinces, like Manitoba and Quebec, plan to ban home cultivation. Provinces and territories also differ on whether pot shops will be publicly or privately owned. For those opting for publicly owned stores, these will be operated by provincial Crown corporations that sell liquor. In some cases, provinces have even created subsidiaries of these companies with names. Unless otherwise noted, these will be standalone stores wholly separate from those that sell alcohol. While dried cannabis and cannabis oil -- both of which will be sold in 2018 -- can be used to make edible products at home, the federal government has said that packaged edible products won’t be commercially available. For a comprehensive rundown of how each province is approaching legalized marijuana, click here. Bill C-45 was introduced alongside Bill C-46 which specifically deals with impaired driving. The government has hoped throughout the process that the two bills would pass in close succession. This legislation proposes changes to the impaired driving laws to give police new powers to conduct roadside intoxication tests, including oral fluid drug tests, and would make it illegal to drive within two hours of being over the legal limit. However, the Senate amended Bill C-46 to remove the provision that allowed police to conduct random roadside alcohol tests. The Senate also sought to legally downgrade impaired driving offences so that they are not classified as “serious criminality” in order to protect foreign nationals and permanent residents from losing their statuses or becoming inadmissible to Canada after such a conviction. On Monday, the government gave notice of its position on the Senate changes, stating that it “respectfully disagrees” with these two changes. However, in the motion the government indicates it is willing to accept a handful of other Senate amendments to the legislation. The House has yet to send this message back to the Senate but once that occurs, Bill C-46 is in for a similar final debate and vote, as seen with Bill C-45, where senators will have to decide whether they insist, or accept and pass the bill. The House of Commons is scheduled to adjourn for the summer on Friday, June 22, but the Senate is set to sit for a week longer. There is always the potential of an early adjournment, or the opportunity to sit longer in exceptional circumstances. Here's a recap of the final moments of debate in the Senate. Using our app? Touch here to see the recap below. The government is accepting most, but not all, of the Senate’s proposed amendments to Bill C-45. Among what the federal Liberals have rejected is the proposal to allow the provinces and territories to ban home-grown marijuana.